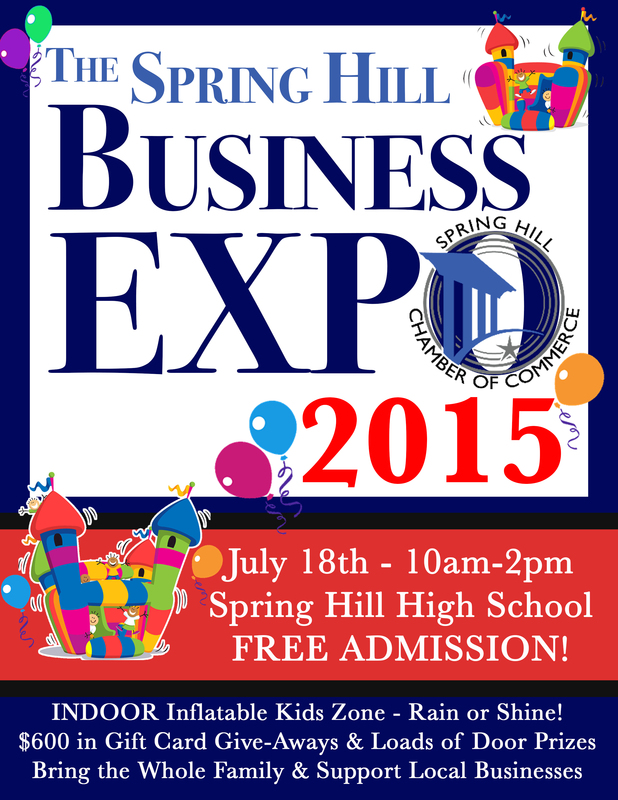 The Spring Hill Chamber of Commerce's annual Business Expo is 10 a.m.-2 p.m. Sat., July 18, at Spring Hill High School. Admission is free. Enjoy an indoor inflatable Kids' Zone, $600 in gift card give-aways, and loads of door prizes.